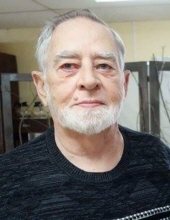 Robert R. Lane age 79 of Newton passed away Thursday, December 6, 2018 at Carle Richland Memorial Hospital, Olney, Illinois. Funeral services celebrating Robert’s life will be held at 1:00 p.m., Monday, December 10, 2018 at the Scott Avenue Christian Church. Visitation will be from 5:00 p.m. until 7:00 p.m., Sunday, December 9 in the church. Interment services will be held at 3:00 p.m. Monday, December 10th in the Highland Memorial Cemetery, Mt. Carmel, Illinois with military rites. Memorial gifts for Robert may be made to the Donor’s Choice. Robert was born on July 7, 1939 in Mt. Carmel, Illinois the son of Oscar “Dude” and Mable A. (Hedge) Lane. Robert served his country in the United States Army. On December 24, 1965, Robert married Nancy A. Potts. She survives. Robert was a machinist for Pacific Press and Shear in Mt. Carmel, Illinois until his retirement. In his free time, Robert enjoyed radio controlled model airplanes. He was a member of Prop Busters model airplane club and the American Legion Post #423. In years past, he enjoyed riding his Honda Gold Wing. He and Nancy attended Scott Avenue Christian Church. Robert will be loved and remembered by his wife Nancy A. Lane of Newton; daughter Vaneta Gilio, husband Anthony of Newton; grandson Logan Andrews, wife Mikkel of Newton; step grandchildren Zachary Gilio of Springfield and Emilea Gilio of Newton. His parents and infant son Brian Keith Lane preceded him in death. To plant a tree in memory of Robert R. Lane, please visit our Tribute Store. "Email Address" would like to share the life celebration of Robert R. Lane. Click on the "link" to go to share a favorite memory or leave a condolence message for the family.